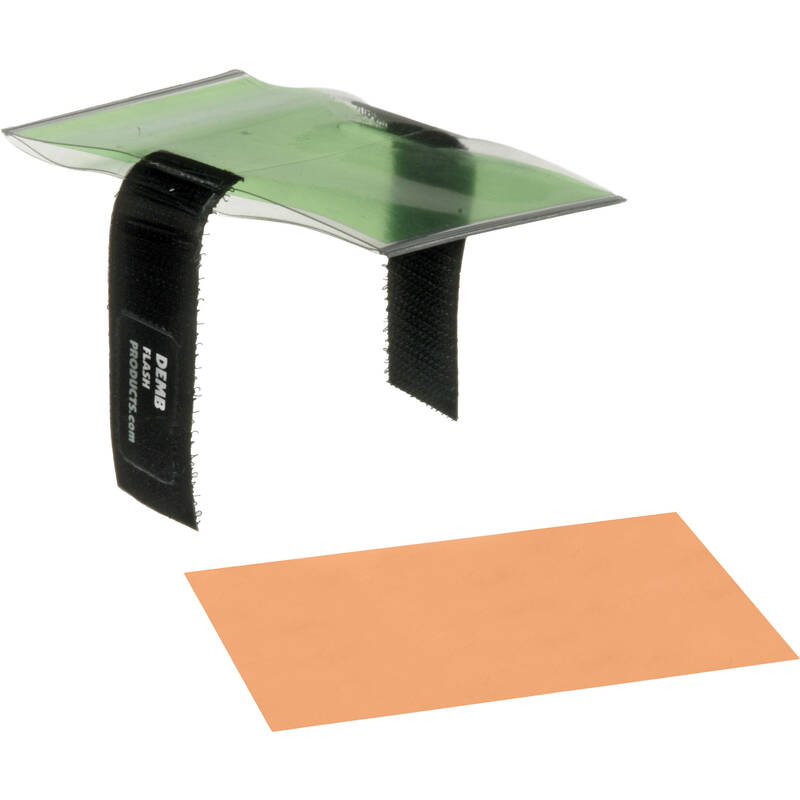 This Filter Holder from DEMB can be attached to the touch-tab strap of any Flip-it! or DEMB flash diffuser to color balance the light. Two filters are included with the holder--one for balancing tungsten and one for balancing fluorescent light. Box Dimensions (LxWxH) 5.4 x 3.5 x 3.5"
Filter Holder is rated 3.7 out of 5 by 3. Rated 3 out of 5 by Steve from Not bad The only thing I don't like about this is that the straps are oriented the wrong way. if you use the demb bounce cards, it is harder to attach this unless you swivel the head. Rated 4 out of 5 by Ken T. from Best Bang For The Buck!! Works great. Very easy to use.